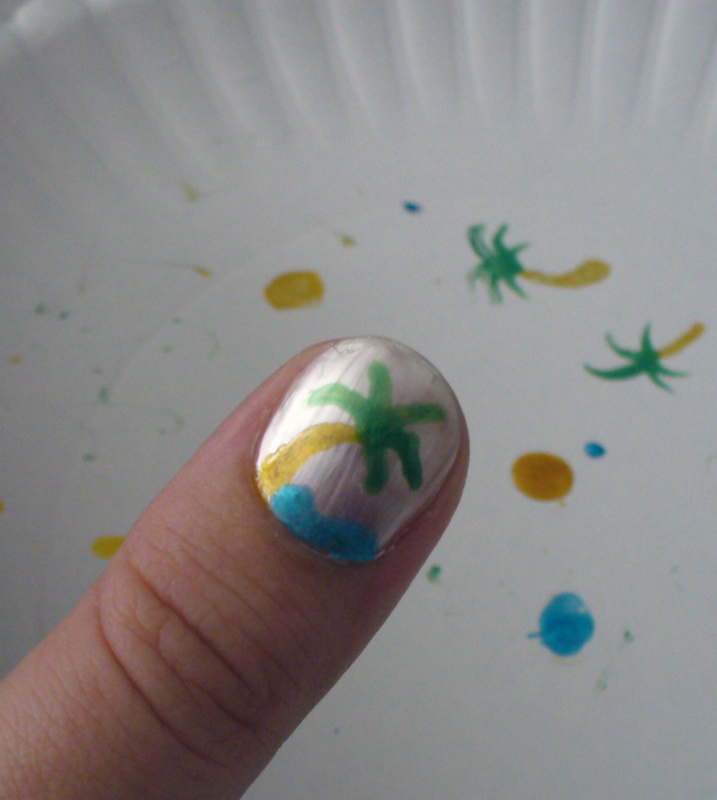 In honor of the 80 degree weather we are having here in Florida, I have created some tropical nail art to try and get a little more in the holiday spirit (which is actually harder than you think when its 80 degrees outside!) 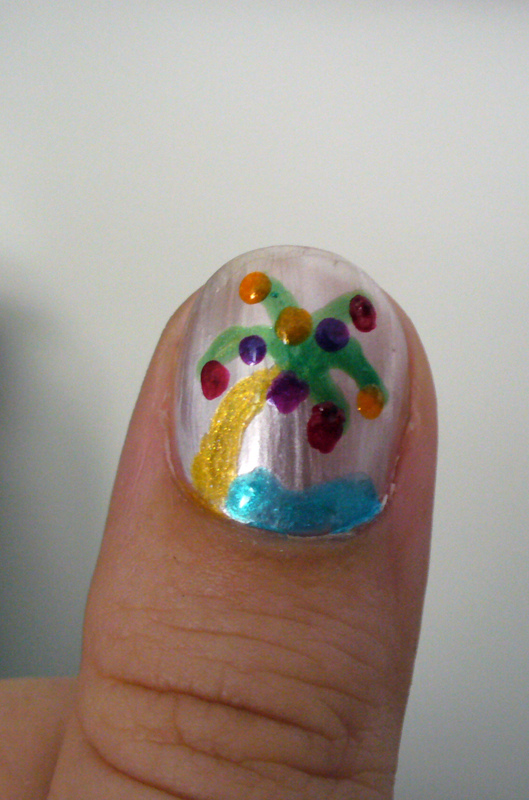 I was already in the making of this manicure when the thought occurred to me to try something tropical! Got a few shots on different angles, but I just love the new dotting tool I made, so I HAD to put some Christmas lights on it! 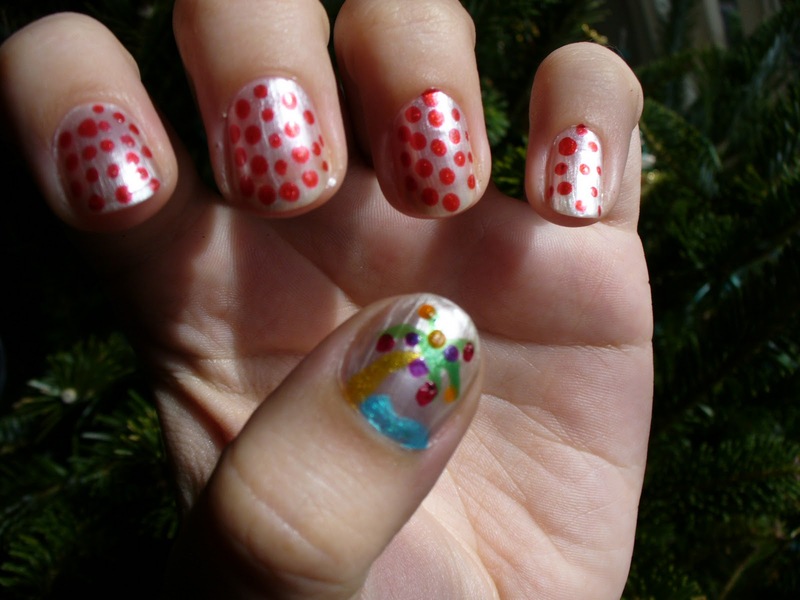 This is all made with my DIY Nail Art Dotting Tool which I’m so glad I made! It was super easy, and you will be shocked on how easy it is to do, and you can do it RIGHT NOW! I kept this super simple. 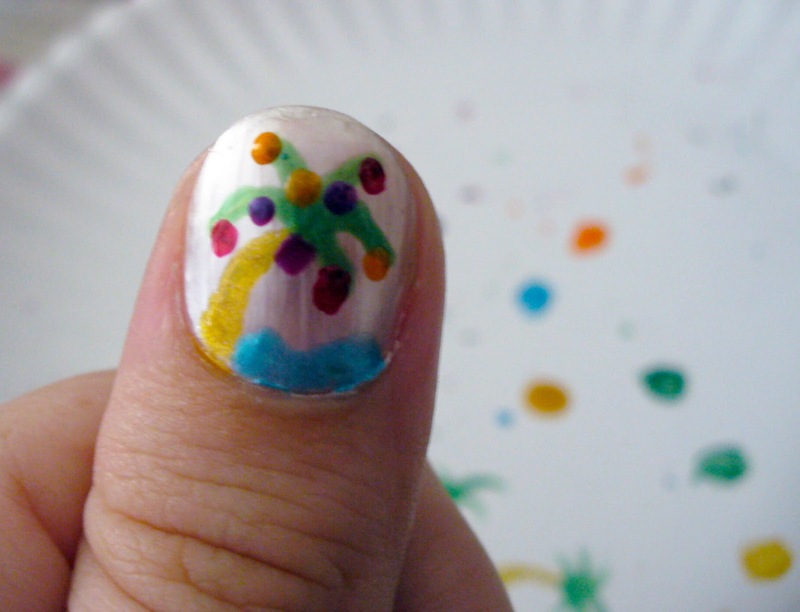 One basic coat of white, let it dry, start dotting. 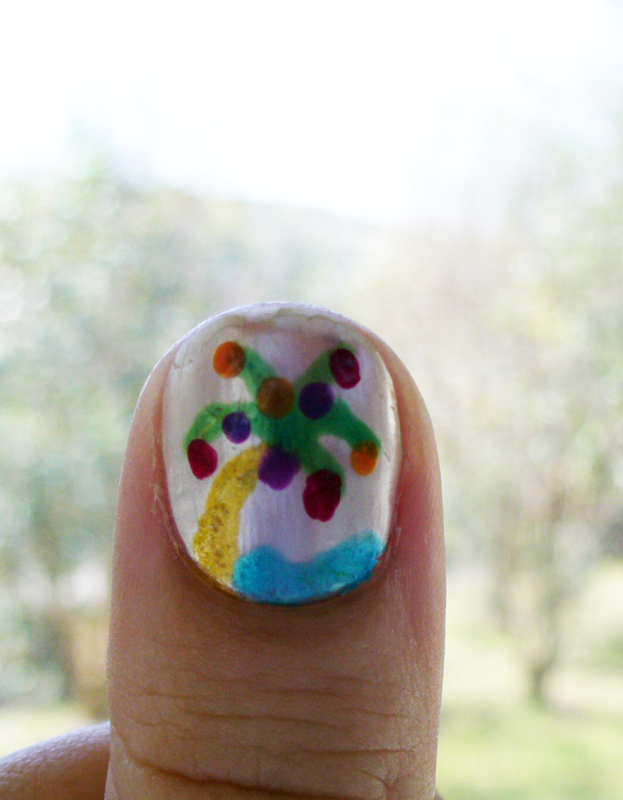 The palm tree was done in 4 steps. 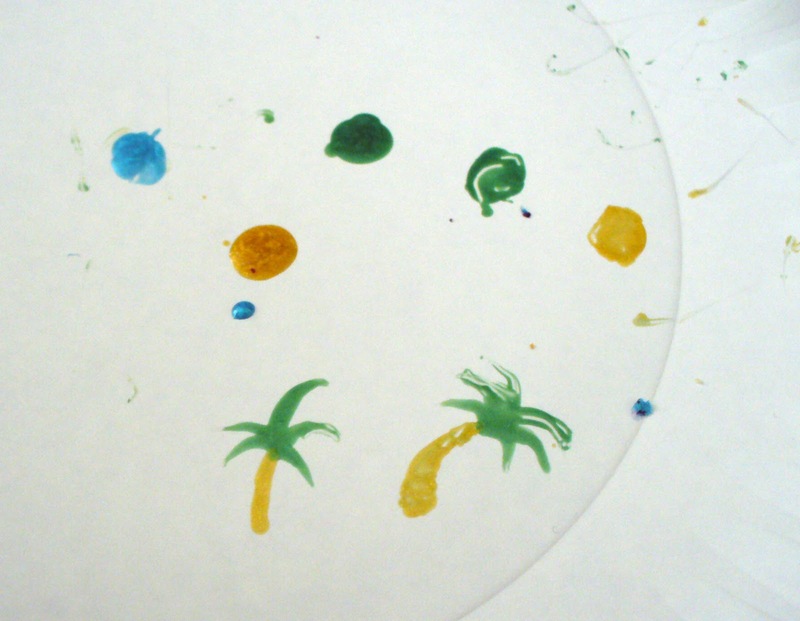 Paint the base, then the palm fans, the water, and lastly the Christmas lights. 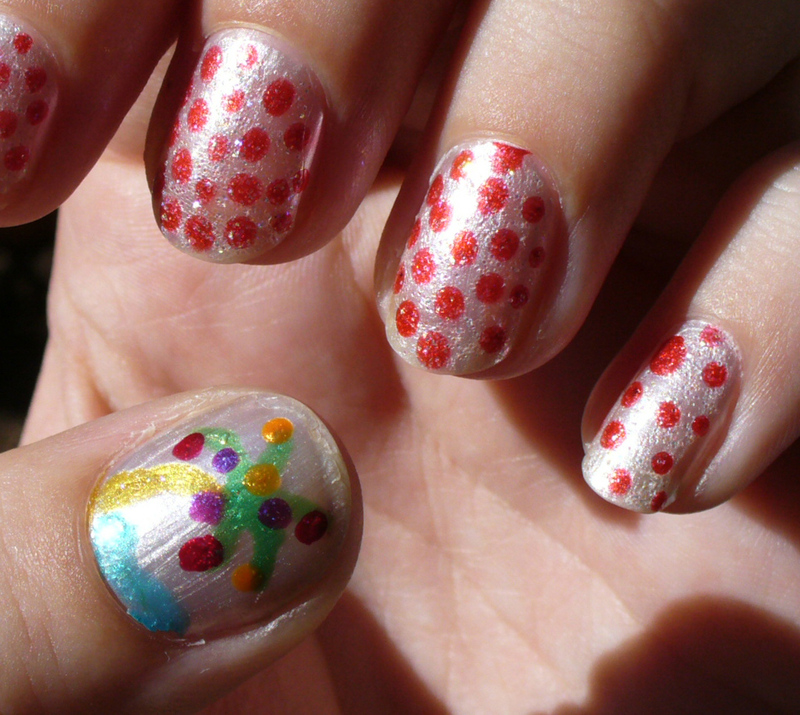 I didn’t use any special polishes, just my good old dollar polishes from Sinful.